A series of seven waterfalls, each pouring into the next fall below, Tamarin Falls reward a challenging trek with abundant natural beauty. It's best to hire a guide to lead you to the falls; the hike can be quite difficult, with near vertical climbs, and a guide will know the best and safest way to get you there. Likewise, he or she can tell you about what you're seeing and the landscape you're exploring. The trek to the falls leads through forest and lush vegetation, around ponds, and across wide-open expanses. The diversity of this area and the exotic plant and animal life make the trip particularly special. Adventurers can walk right alongside the falls, and even jump from the top of a small fall into the pool below. Make sure to wear proper shoes for hiking. 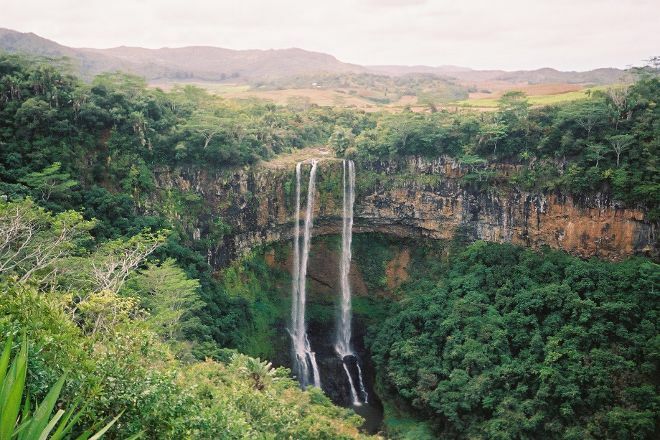 For Tamarin Falls and beyond, use our Curepipe road trip planning site to get the most from your Curepipe vacation.